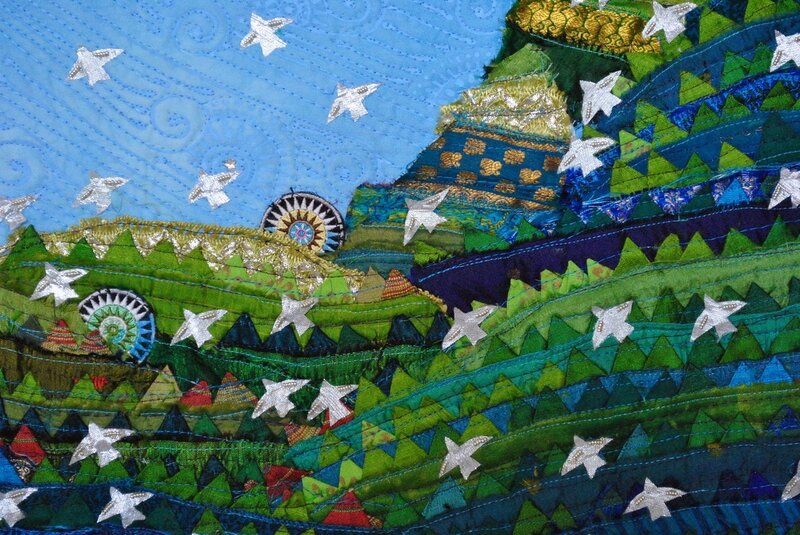 The Sky Prayer Series represents how all our dreams, hopes, prayers, and wishes rise collectively to fill the sky above us. This piece was inspired by the view from my house. It is a view of the back of the Flatirons with the low prairie rising to meet the foothills of the Rocky Mountains. This piece is constructed of hand painted dyed cotton gradient. 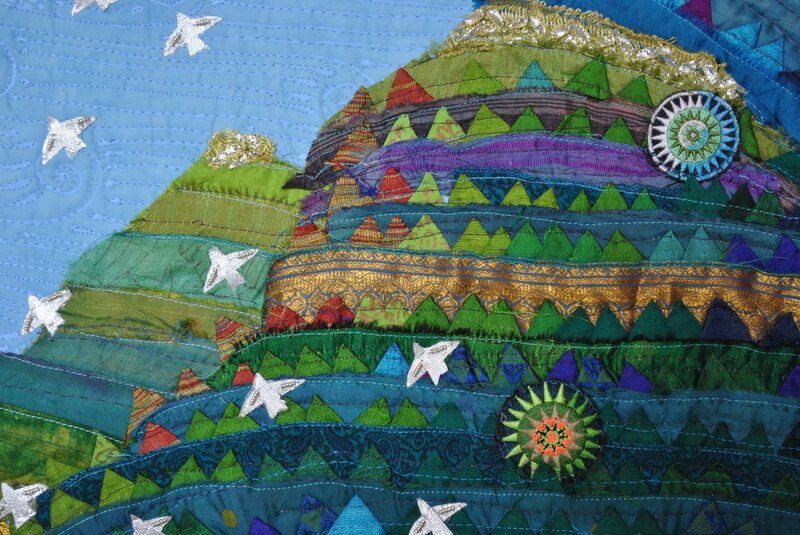 The mountains are assembled using small folded prairie points of silk, satin, rayon, and cotton sewn onto recycled silk sari ribbon and trim. It is hand beaded and embellished. Fused lame appliqué birds.